Are you spending this Mother’s Day wondering if you are, in fact, a mother? 900,000-1 million women in the U.S. alone face this question every year after suffering pregnancy loss. “For women who experience a miscarriage during their first pregnancy, the question of motherhood is an even greater one,” says Lisa Church of HopeXchange, a company dedicated to the support of women and their families facing pregnancy loss. – You Are a Mother. The best gift you can give yourself on Mother’s Day is the acknowledgment that you are a mother. You may not have a baby to hold in your arms, but you do have one in your heart. – Let Your Family Know What You Need. If you feel uncomfortable being recognized as a mother at a banquet or other function, substitute an activity you would feel good about. If you would rather not receive or wear a flower, then wear an item that helps you to connect with your baby, such as a piece of jewelry that includes the baby’s birthstone. Mother’s Day can be a great time for a husband and wife to talk about their baby and what the baby meant to them. Take a walk, have a quiet dinner, or just set aside some time to remember your baby together. – Decide Ahead of Time. We run this article each year to help grieving Moms handle Mother’s Day. 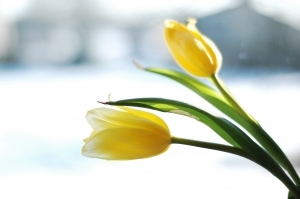 Are You Feeling “Showered” By Grief or Addiction This Spring? How Well Do You Know Yourself? Watch This TED Video and Find Out!